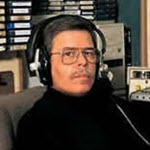 Art Bell: Somewhere in Time journeys back to June 12, 1996, when Art welcomed scientist John Curine to discuss why the Big Bang theory is wrong. 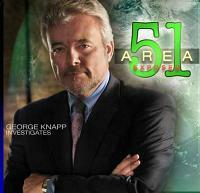 George Knapp was joined by Carl Hoffman, author and contributing editor at National Geographic Traveler, for a discussion on the mysterious 1961 disappearance of Michael Rockefeller in New Guinea which has kept the world and his powerful, influential family guessing for years. Host Richard Syrett welcomed journalist and author Jim Marrs, who discussed his recent essay, “Unholy Alliance: Ancient Astronauts and the New World Financial Order,” published in Lost Secrets of the Gods. In the first hour, zoologist and science writer Dr. Karl Shuker talked about giant spiders that could be more than just myth. Art’s annual Halloween Ghost to Ghost Show with callers phoning in there scary ghost/paranormal stories from October 30, 1995 .